This part is an extension to a pasta machine manual crank handle. Due to the configuration of the pasta machine owners counter tops, when installed and operating the crank handle, it would hit the clamp that secured the machine to the counter while it was being rotated. When the handle was pulled out of the machine far enough to clear the clamp, it did not retain enough engagement with the machine to stay in place while turning the crank, and would fall out constantly mid-crank. 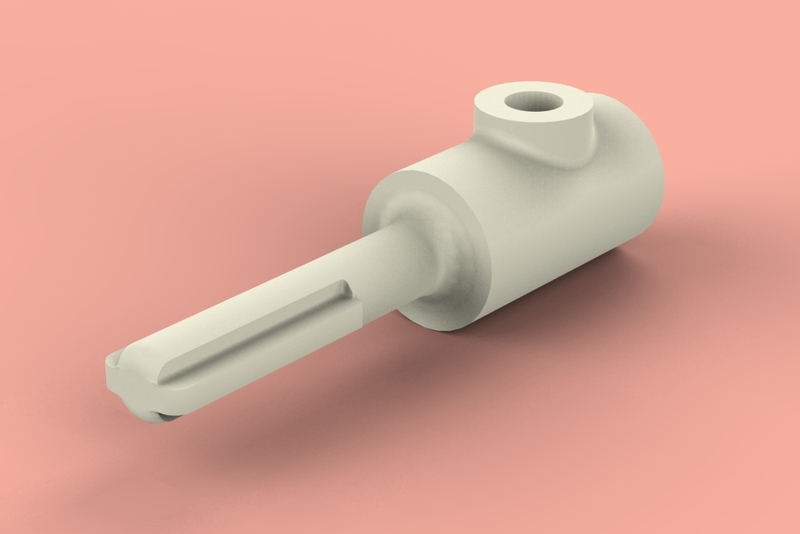 After trying several hand made versions of adapters to lengthen the effective length of the handle, which all failed in various ways, this 3D printed adapter saved the day. A single piece construction that fits over the end of the original handle, and adds 2 inches of length. The boss on top was included to be able to add a threaded insert and set screw, if necessary. However, after putting the adapter to use, the fit and grip of the adapter on the handle was secure enough to use as is, without need for the setscrew.